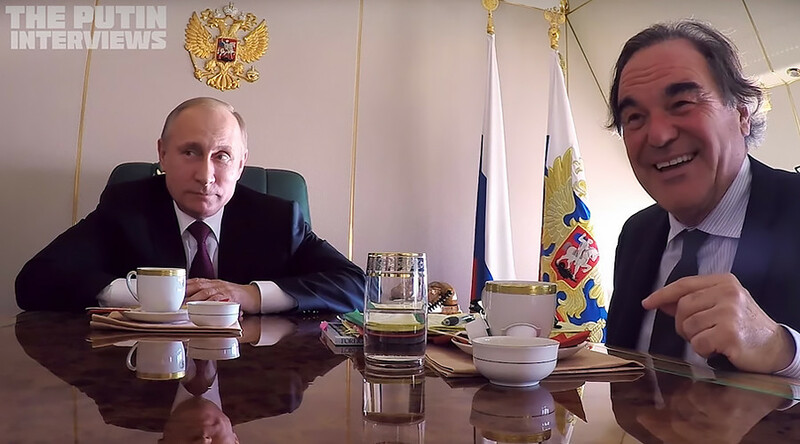 During his 19 hours of face-to-face conversations with Vladimir Putin, Oscar-winning director Oliver Stone posed some challenging questions that enabled the Russian president to reveal his often misinterpreted character to the public. “I’m here to get Putin to talk. Let him talk, If I can encourage him to talk by having an empathetic ear, that is the reporter’s way. I’m also a dramatist. I’m encouraging my actors to be better. To say more. To give me a performance,” Stone, the maker of the 'The Putin Interviews' documentary, told the New York Times. The most recent interview, recorded in February after President Trump assumed office, touched on allegations of Russian interference in the American presidential election and the hysteria that exploded in the Western media over these unproven claims. “A lot of smoke. I don’t see much fire. You can blame everything on Russia, and this is what we’ve been doing pretty much since 1917,” the director noted. It’s up to the viewer to decide, Stone said. “As Mr. Putin himself says in Chapter 4, this is an internal political matter in America. Because he has nothing to do with – this is from the horse’s mouth – he has nothing to do with influencing the American election, which he doesn’t think is possible,” Stone said. Stone questioned Putin on a number of issues, including Russia’s policies on Syria and Ukraine and the deteriorating relationship between the United States and Russia. “I think I challenged him. You may think I was a pussycat, but no, I think I challenged him,” the award-winning director says, adding that these challenges get bigger as the episodes progress. Stone said the Russian president’s work ethic was a distinctive feature while reflecting on his personal impression of Putin. “I admire his discipline. His ability to do this off and on for 16 years. His stamina, the way he works. No American president works these hours as far as I know. He reminds me of Jimmy Carter in that sense, dedication to work,” the 70-year-old American filmmaker said. ‘The Putin Interviews’ will air on premium cable and satellite television network Showtime on four consecutive nights starting Monday.